It’s a book! It’s a game! It’s a cow? 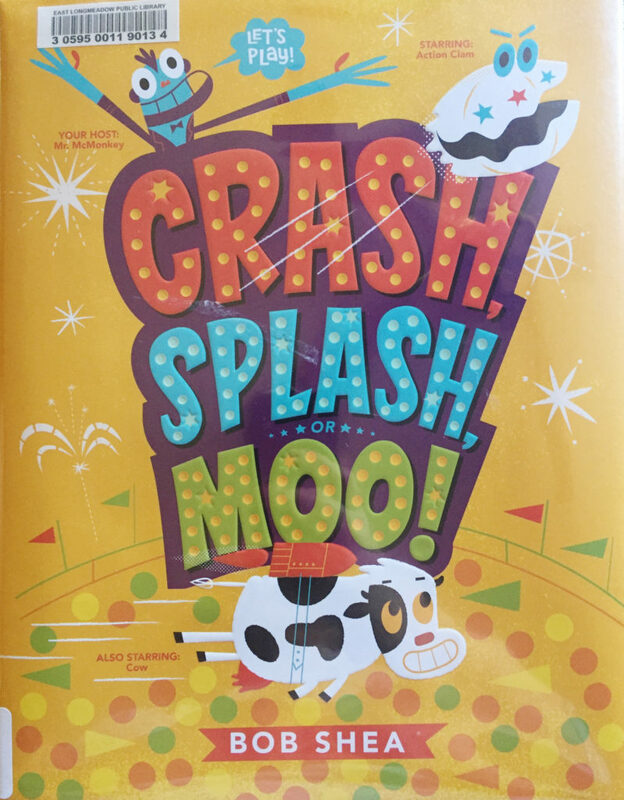 It’s time to play Crash, Splash, or Moo! With your host, Mr. McMonkey. Starring Action Clam & Cow! This is an action packed guessing game… in a book! There is even with a secret prize at the end! What more could you ask for? Well, you might want stunts, and bananas, and applause and anticipation and excitement and bananas, and that’s also what you get! WHOOHOO! Let’s play Crash, Splash, or Moo!